About a year ago in Fes, we were seating on hand carved settees overloaded with opulently bedecked cushions, in front of us was a heavy table set with ornate silverware and copperware. The lavishness of Moroccan taste is more palpable in the walls that are decorated with mosaic tiles and the rich color wool carpet covering the floors. and some roasted mutton (mechoui). 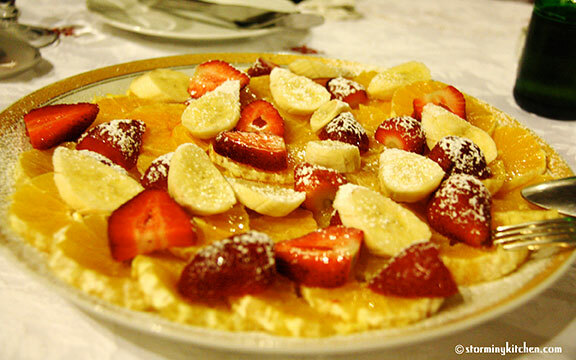 This sumptuous meal was capped with honey drizzled fresh fruits and a cup of very sweet but refreshing mint tea. 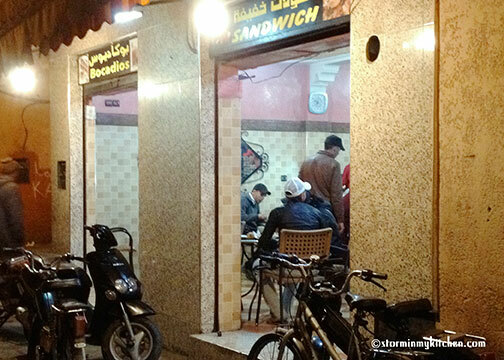 Quite telling that Moroccans take their food seriously, yes? 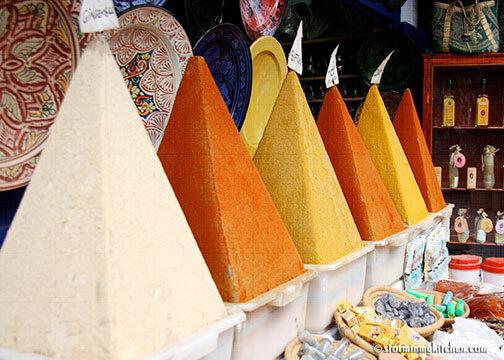 vibrant pyramids of spices, sacks of grains, colorful variety of fruits and vegetables. 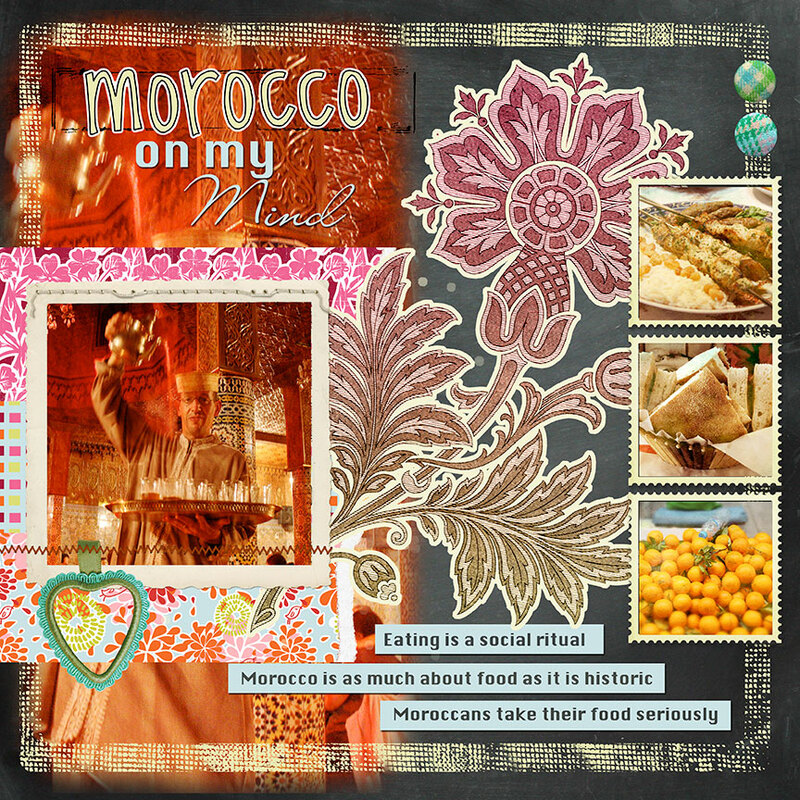 Morocco is as much about food as it is historic and scenic. An extremely sophisticated cuisine, thanks to a diverse medley of Arab, Berber, Moorish, French, Middle Eastern, Mediterranean, African, Iberian and Jewish influences. The interactions and exchanges with these cultures have been filtered and blended over time into flavors that have become distinctly Moroccan. 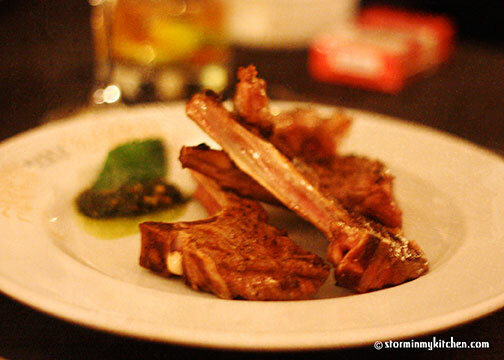 Common meals include beef, mutton, lamb, chicken, camel, rabbit and seafood. Its cooking made distinct by the subtle blend of spices not to mask but rather to enhance the flavor and aroma of its dishes. Similar to my part of the world (Philippines), eating in Morocco is a social ritual, food is served in the middle of the table to be shared. 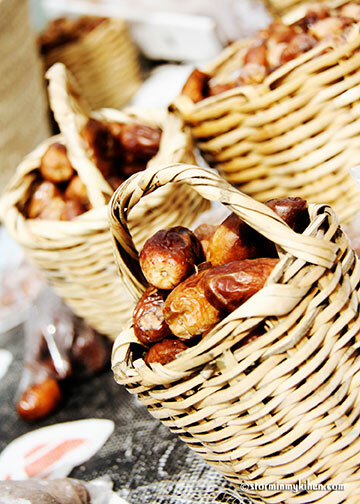 Moroccans take great pride in their meal from purchasing the freshest ingredients to preparing these in lengths and showing these off in elaborate dishes. This sense of pride and fundamental way of life have led to eateries big and small that can really impress. 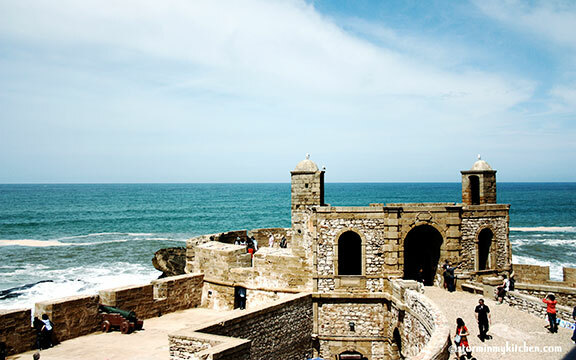 From the slow cooked tagines to the kebabs and sandwiches favored in hole in the walls — a trip to Morocco will surely stir up the palate, a flavor adventure hard to forget. In no particular order, here’s a list of staples and must tries. A stew braised and slow cooked in an earthenware dish with a cone shape top also called a tagine. 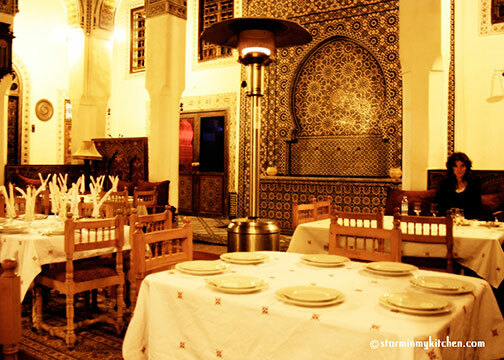 Normally served in the tagine it was cooked in, and is more often a shared dish served in the center of the table. 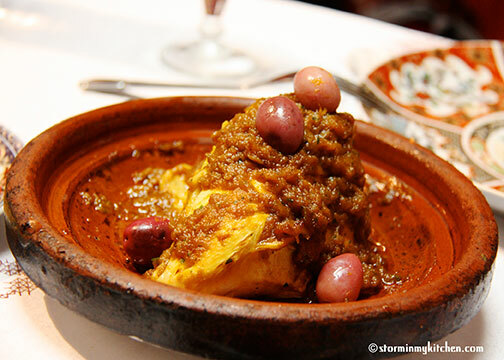 Adding dried fruits to meat tagines is very Moroccan – they love the combination of sweet and savory. 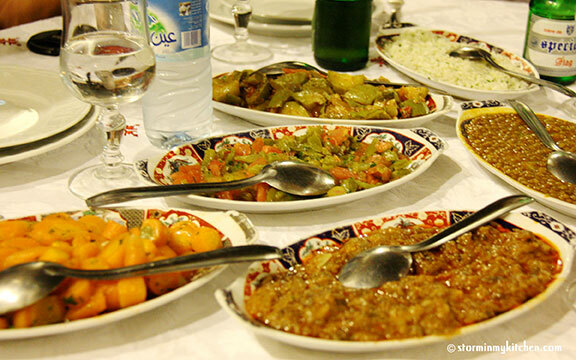 Although fish tagines are popular in coastal towns, Moroccans love their meats and lambs are favored in tagines. 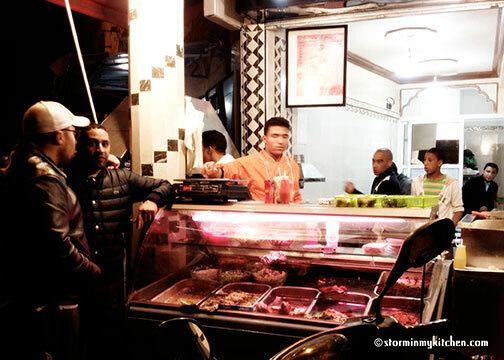 Ubiquitous in Morocco is a drink they call Whiskey Morocco – a play in the fact that the consumption of alcohol is considered “Haraam” and is prohibited per Muslim dietary restrictions. Moroccans drink this sweet green tea and mint every day. And making it has become an art, the technique is as important as the quality of the tea itself. 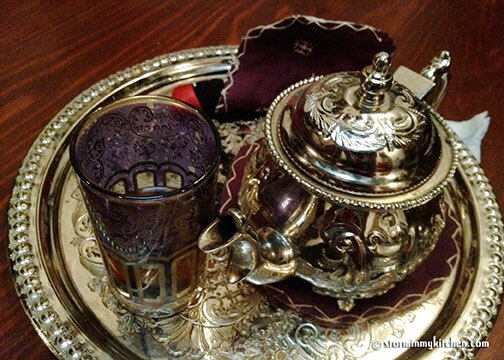 Often served in an engraved metal tray with small, ornate glasses boasting intricate designs, the tea is poured evenly into these glasses from a height using a typical Moroccan teapot with long, curved pouring spout. So soothing, I look forward to it every meal time. It actually is the perfect cap to a meal. 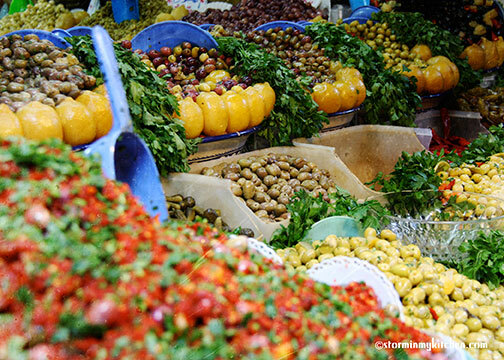 Morocco is known for its olives and preserves. Not only are olives a tasty way to start a meal, these are staple ingredients to flavor tagine dishes. 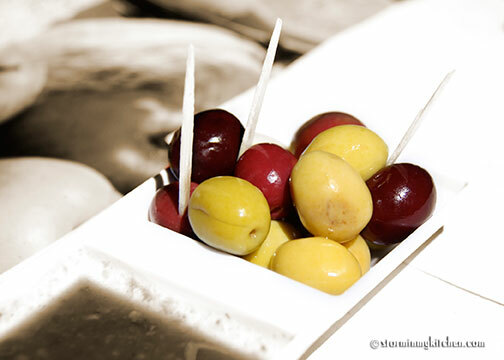 In an olive vendor, one will find olives of different shades from red to green to black. The red and green varieties go well in many tagine dishes while the black variety are stuffed with cheese and eaten as a snack or added in salads. Preserved lemons are another key ingredient in tagines and salads. 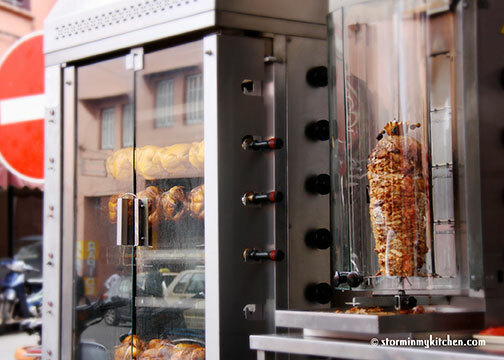 Preserved in a salt-lemon juice mixture, this brings a unique feature to many Moroccan chicken and pigeon dishes. 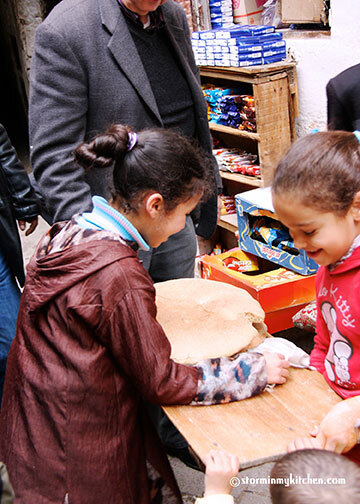 Moroccans eat with their fingers, using a small piece of bread, their thumb and first two fingers pick up food. 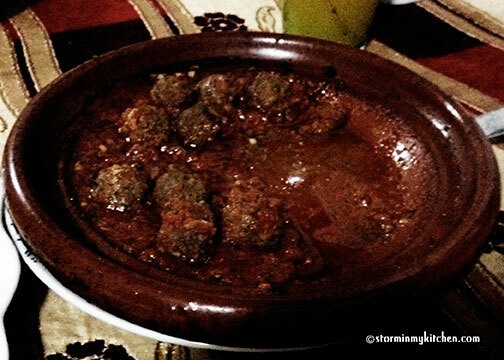 They also use it to soak up the flavorful sauce of the tagines. And a meal is never complete without bread. 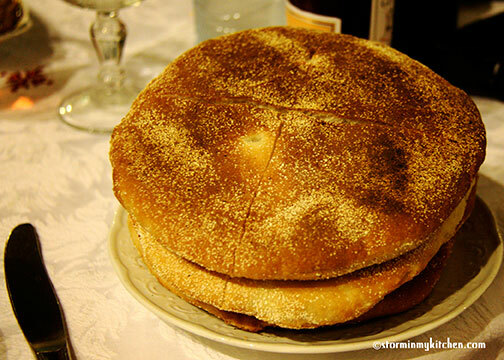 Most Moroccan households do not have an oven, but almost every neighborhood has a community oven where people take their bread dough to bake. Often you’ll see children pass by these communal ovens picking up a stack of freshly baked breads to bring home. 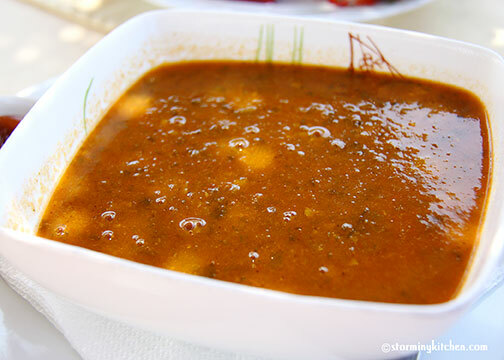 The most important soup in Morocco as it serves as the break of the fast during Ramadan. Drank at dusk, this tomato-based soup with chickpeas, meat, lentils and small noodles is perfect to warm the tummy before a fast. A delicacy sometimes called bisteeya. Consistent with their fondness for combining sweet and savory, this pastry is made up of shredded chicken or, the more expensive and tastier, pigeon mixed with eggs and crushed almonds wrapped in phyllo pastry. 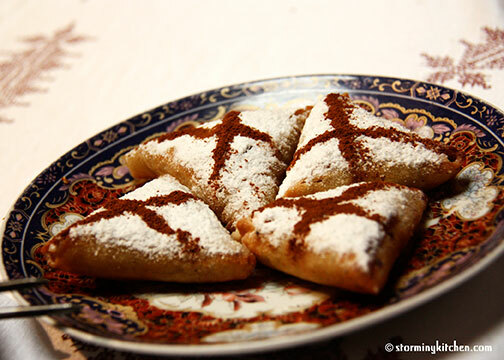 It is then fried and topped with cinnamon and confectionary sugar. A dish you don’t want to miss. 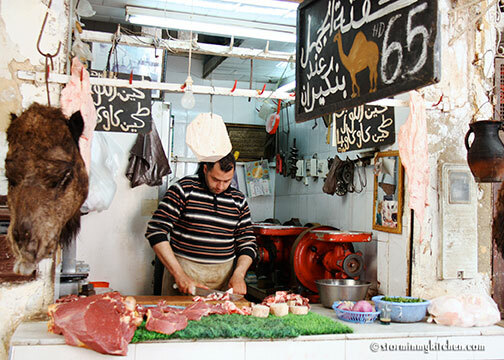 I will say it again – Moroccans love their meat. Lamb is favored and enjoyed in many ways – with couscous in tagines, skewered grilled over charcoal, braised, or slow roasted until tender. The more affordable beef and chicken are also popular meats that are served in a variety of ways. 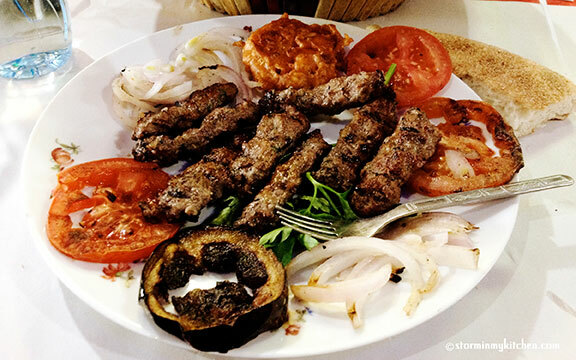 The most common style of barbecuing in this part of the world is Kabab-style. 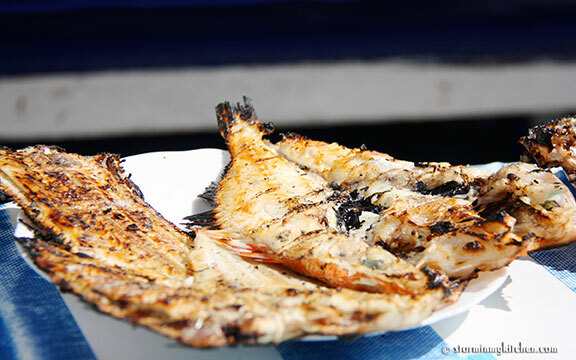 It is found in most kinds of restaurants, be it the usual sit-down kind or the hole-in-the-wall grill shops. The latter although unimpressive in appearance are guaranteed to satisfy the palate at very minimal cost. 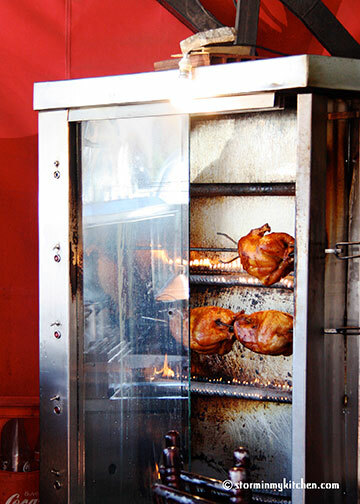 Grilled rotisserie chicken, a favorite, and the best one I had was in a roadside eatery. Snack restaurants or sandwich shops can be found all over Mocorro, ranging again from hole-in-the-walls to larger, sit-down establishments. 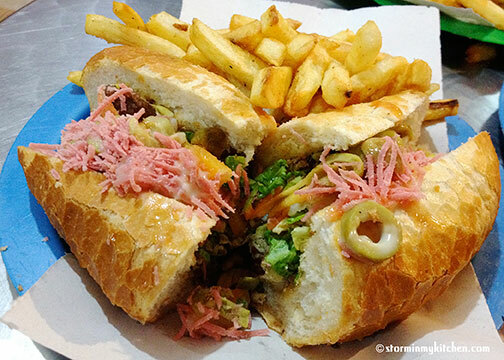 the Moroccan version of a sandwich that comes in either a baguette or a khubz, the filling usually involves choosing from a selection of meats, vegetables and sauce on display. 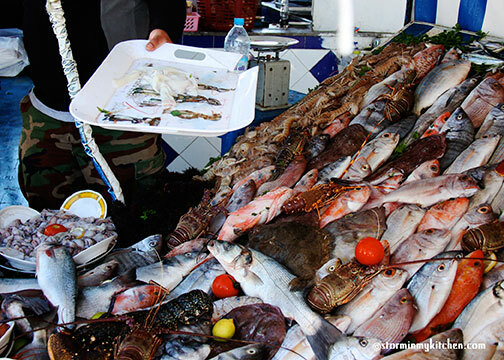 In coastal and port towns such as Essaouira, fresh catches of all sorts — St. Pierre (John Dory), sea bream, sardines, etc. are displayed in abundance in the fish market. There you get to pick your fish, find your table, order your beer and enjoy the outdoor while you wait for your fish to grill. A welcome respite after all the meat dishes eaten in lavish indoor restaurants in low light settings. 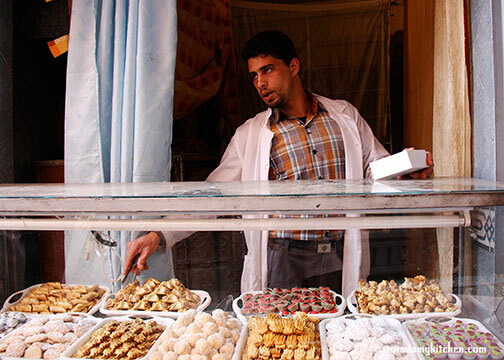 One of the legacies left by the French is in the form of Moroccan pastries. Various types exist, but many are the rich, dense confection of cinnamon, almonds and the ubiquitous orange water rolled in phyllo dough and soaked in honey. 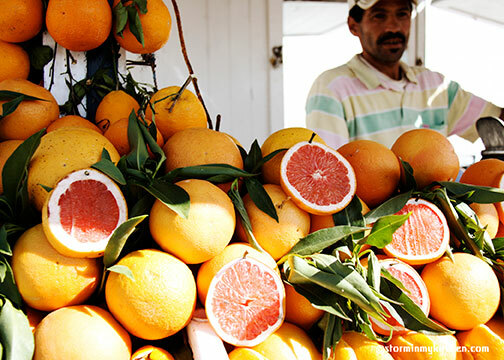 Fresh fruits, not pastries, are typically what caps Moroccan meal. Cookies and pastries often go with afternoon tea or coffee. 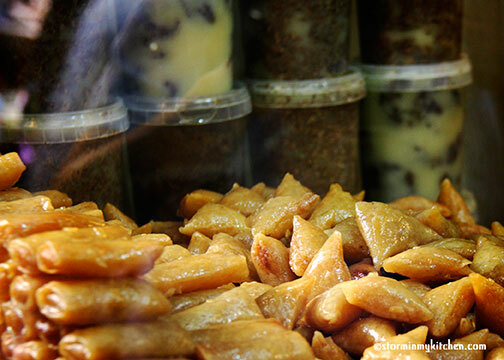 While many households keep a supply of homemade sweets, these are easily purchased in pastry shops and carts on the street. 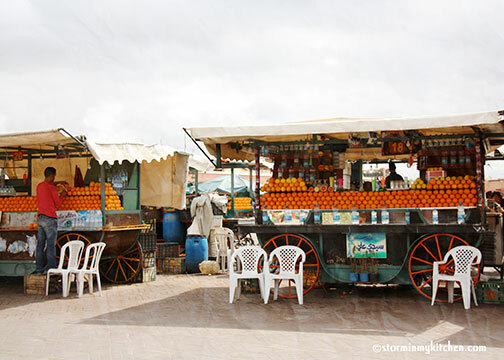 Take advantage and enjoy a glass of freshly squeezed sweet orange juice everyday from one of the stalls ever present in most of Morocco. You will not regret it. 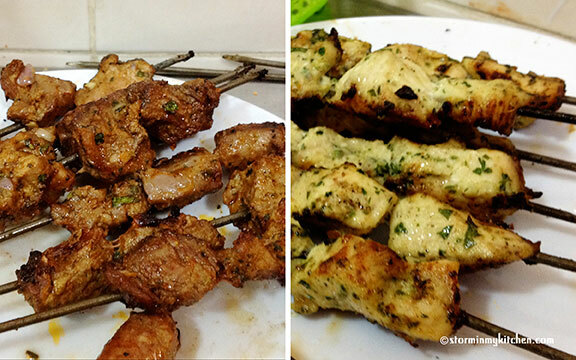 You are currently viewing the archives for April, 2014 at Storm In My Kitchen.